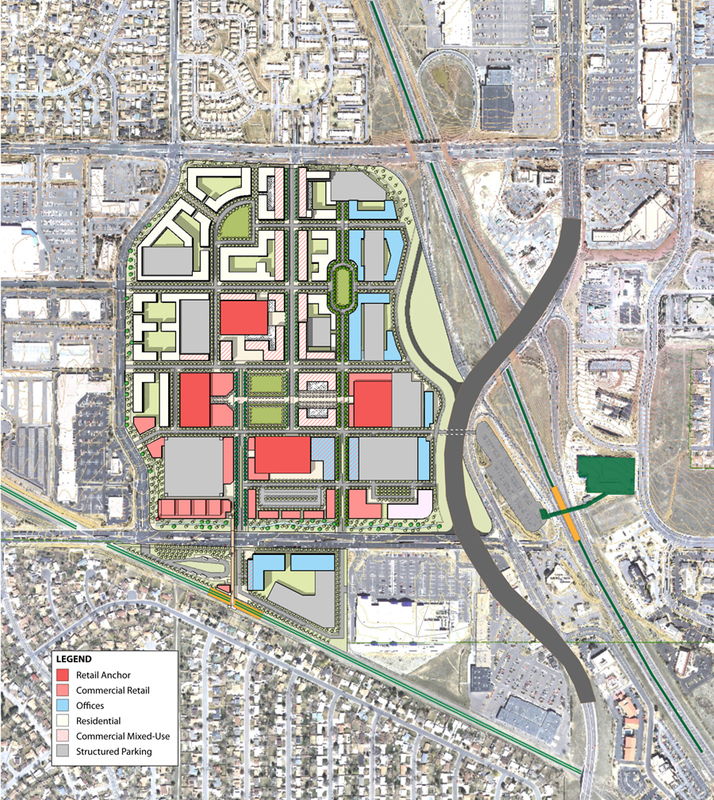 The Westminster mall sits at the crossroads of US 36, Sheridan Street and 88th Avenue, adjacent to a planned Regional Transportation District multimodal commuter rail stop. The plan for this new urban neighborhood is organized by a traditional pedestrian-oriented street grid surrounding a central Town Square. The mixture of uses includes common open space, office uses, and dwelling units in 4-8 story residential buildings above ground floor retail including a multiplex cinema, and a “Restaurant Row”. The purpose of the project was to define the city’s urban design goals and objectives, and to articulate these clearly to the future developer prior to their development proposal. The Vision for the redevelopment of an outdated 102-acre enclosed shopping mall is to create a framework and basic development guidelines for a dense, vibrant, mixed-use transit-oriented neighborhood to serve as a new downtown for the city.